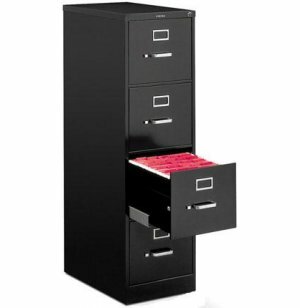 Organize your office in style with these vertical filing cabinets from HON. The sleek, contemporary design lends a professional look to any office environment. 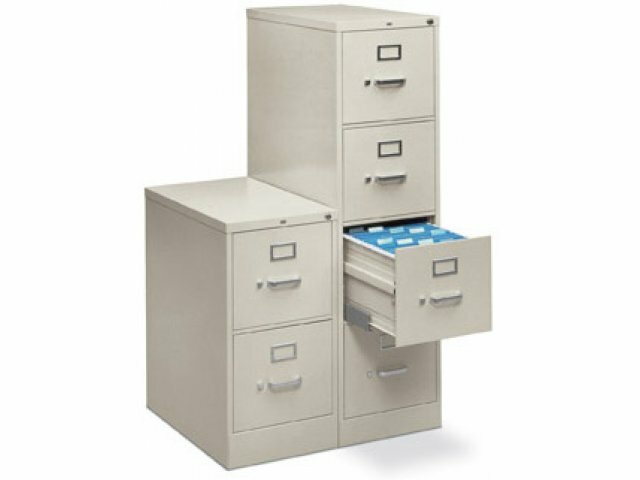 Each file cabinet drawer offers generous, front-to-back filing space and telescopes open for easy access to all documents. File contents are kept secure by core-removable locks, and the heavy-gauge thumb latches prevent drawers from accidentally opening. 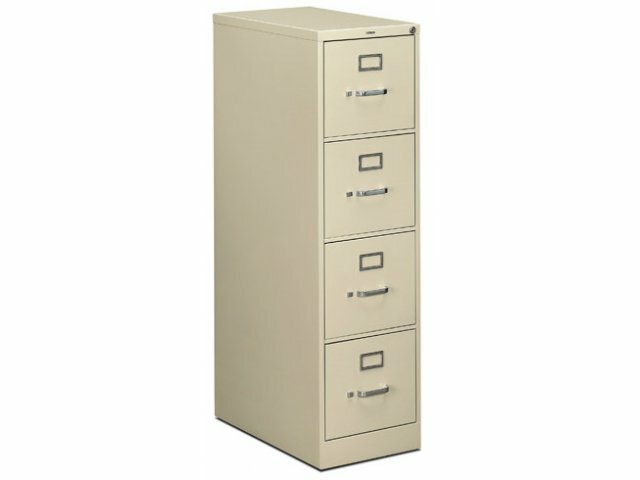 Available in a choice of contemporary colors, these vertical file cabinets will fast become a favorite resource for you and your staff. 25 inch case depth with 23 1/2 inches of front-to-back filing space. Triple-tied full cradle suspension for smooth-rolling support! Generous Drawer Space: Each file cabinet drawer provides ample filing space for all kinds of documents. 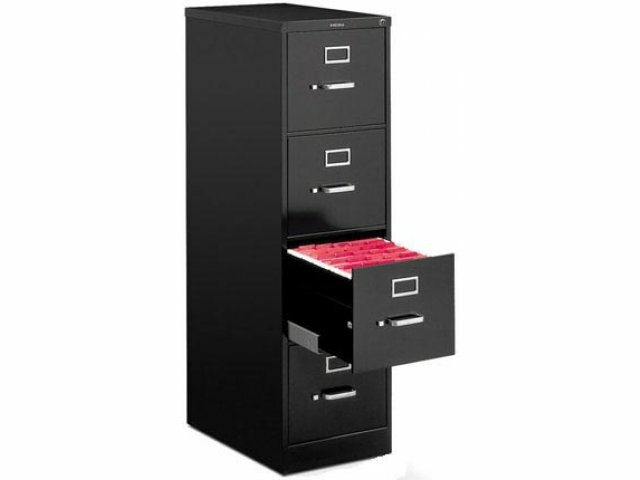 Easy Access: The three-part telescoping drawers allow easy access to all files. High Security: Core-removable locks keep file contents secure, while heavy-gauge thumb latches prevent drawers from accidentally opening. No-Peel Finish: Baked enamel finish stands up to years of use without scratching or peeling. Contemporary Colors: Available in a choice of colors that are both classic and contemporary.